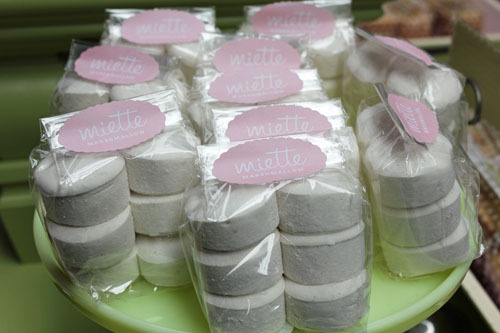 If you are looking for a sugar fix, Miette is sure to deliver this and so much more. 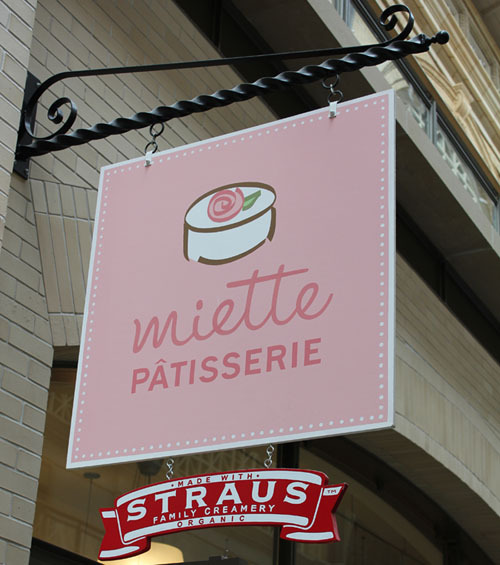 Conveniently located inside the San Francisco Ferry Building (and several other locations), this cute bakery has what you need to satisfy that sweet tooth. 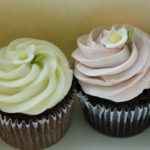 We tried their signature Gingerbread cupcake with cream cheese frosting and chocolate cupcake with strawberry frosting. I must say they were DELICIOUS. If you can’t make it to San Francisco they also have mail order directly from their website. 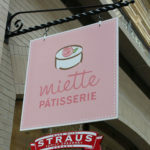 Their macarons were simply the best I have ever had! The soft chewy texture made you want to keep coming back for more. Their strawberry shortcake was so moist and light I felt like I was eating a bit of heaven on a plate. This might have been one of my favorite desserts in all of the city! But lastly their macarons were simply the best I have ever had. The soft chewy texture made you want to keep coming back for more. Luckily we were staying right across the street from this bakery so we made it a daily ritual to try something new, as you should too! 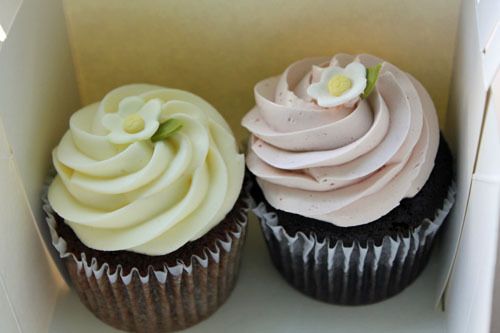 Last summer, when we were in New York City, we had the pleasure of visiting Magnolia Bakery in Grand Central Station. While we were there we tried everything from the world famous banana pudding (one of the best we’ve ever had), cupcakes (the vanilla are my favorite), brownies, and bars. After tasting their yummy treats we were inspired to recreate the experience at home. 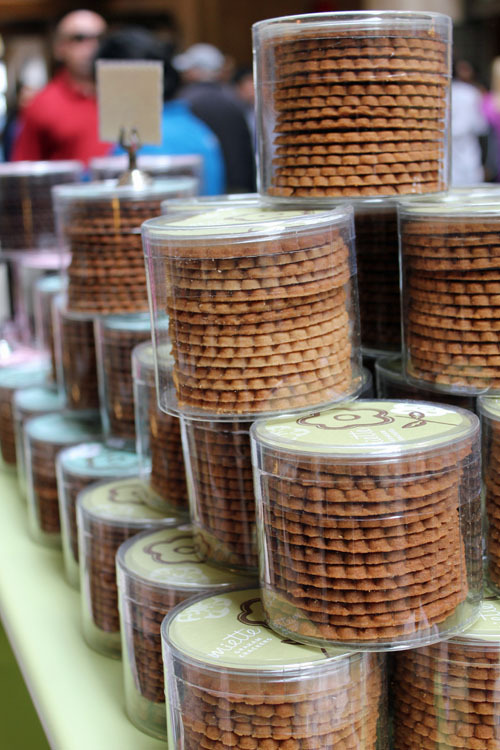 We can’t make a trip to NYC every time we crave Magnolia’s delicious baked goods. Fortunately for us, Magnolia has published their own cookbook , so you can recreate their recipes in your own home. 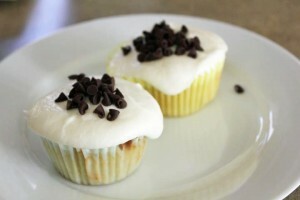 Find the recipe for the vanilla cupcakes here. Find the recipe for the banana pudding here. 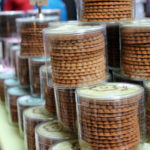 They truly come out just as good as the treats we had at the NYC location. I totally recommend purchasing the cookbook so you can have the full Magnolia Bakery experience, especially if visiting NYC is out of the question. If you’re ever in the city, CHECK THIS PLACE OUT! If you can’t make it to NYC we highly recommend the Magnolia Bakery Cookbook available on Amazon. Having never attended a formal cooking class, I found myself a bit nervous when I arrived at the Whole Foods Culinary Center in downtown Austin, TX. However, from the moment I walked in, it was quite inviting and smelled delicious! Cookbooks lined the entry way and a well stocked modern test kitchen was behind a large glass wall for onlookers to see what was the day’s project. Our friendly teacher Summer Pruett-Gosnay, Pastry Chef owner of Stardust Pastry, made the experience so much fun that I know this definitely won’t be my only class that I’ll take. 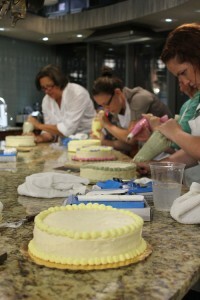 The class title was “Icing on the Cake” and the class description promised to teach you techniques to make a beautiful cake. ( Not to mention that I got to take home a piping set and the finished cake just in time for Mother’s Day!) 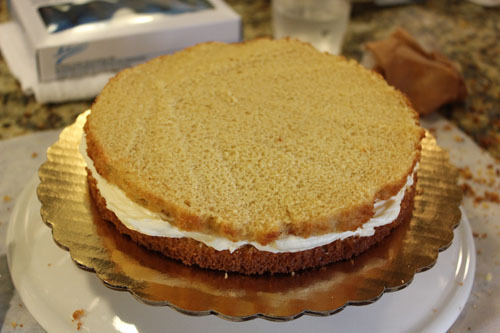 We started off reviewing a handout with basic recipes for white cake and buttercream icing. 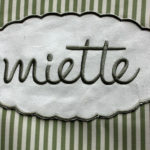 If you are making a basic recipe that calls for just flour and you want to make it in a chocolate version you simply do half flour and half cocoa powder. 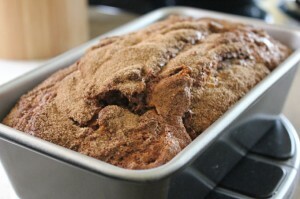 For example of the recipe calls for 2 cups of flour, use 1 cup flour and 1 cup cocoa powder. It’s THAT easy! I think that will be very helpful when I’m in search of something to satisfy my chocolate cravings! Now I can adapt that to make chocolate pancakes, waffles, you name it!! I’m so excited to learn that trick. 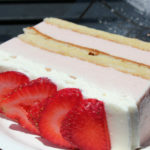 When making layered cakes, a trick Summer uses is brushing simple syrup on top of each layer to retain moisture and keep the cake fresher longer. Who would of thought?! Be aware of the cooking sprays you use. Be sure to check the ingredients and make sure that there is no silicone in it. Apparently after it reaches a certain temperature it can turn poisonous! 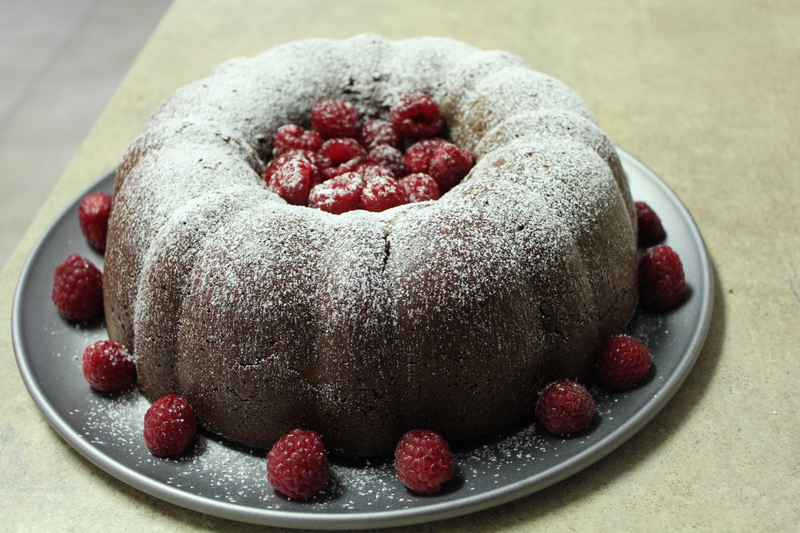 1) Bake your desired type of cake and let cool. 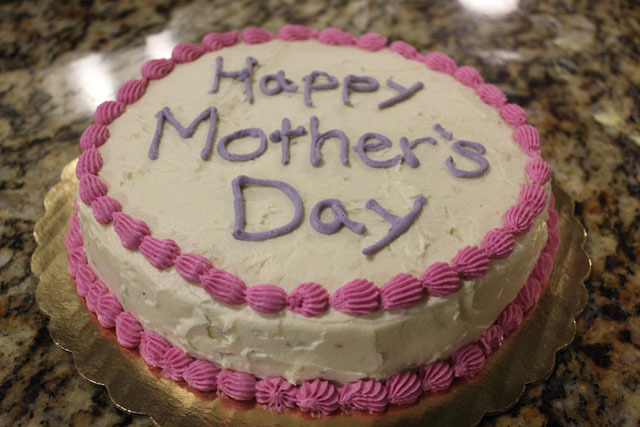 It is easier to ice a COLD cake so it’s not a bad idea to plan ahead and bake the cake the day before you plan to decorate it. 2) Take a long serrated knife and shape the top of your cake into a nice flat round surface. 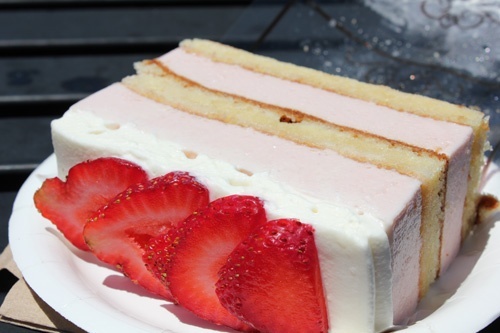 Continue to use the knife to slice your cake into 2 equal halves for your 2 layers. 3) To keep cake moist, brush simple syrup (which is a combination of equal parts water and sugar that’s been boiled and cooled) on top of first layer and then top with frosting. 4) Place 2nd layer on top and repeat process with syrup and frosting. 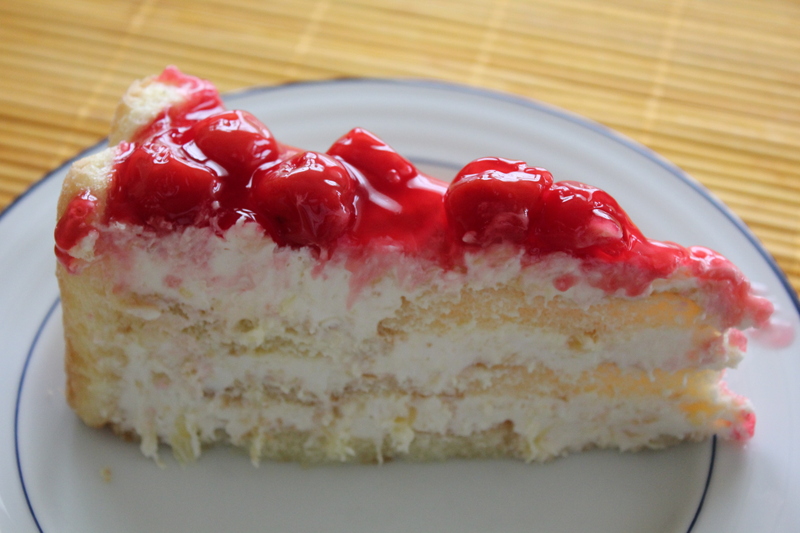 5) Next, frost the sides of the cake generously. This is your first coat, so don’t be too concerned with crumbs being visible. Scrape the edges to get nice clean lines with a Multi-Purpose Pastry Scraper . 6) Then you will add a second coat of frosting that you will spread evenly to make sure it’s presentable. 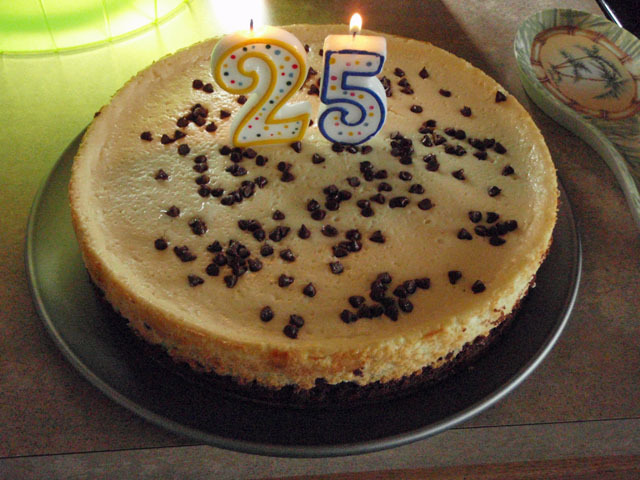 7) Finally, decorate it as you wish with colored frostings or other cake decor elements. Check out pictures of all the cakes on our Facebook page! 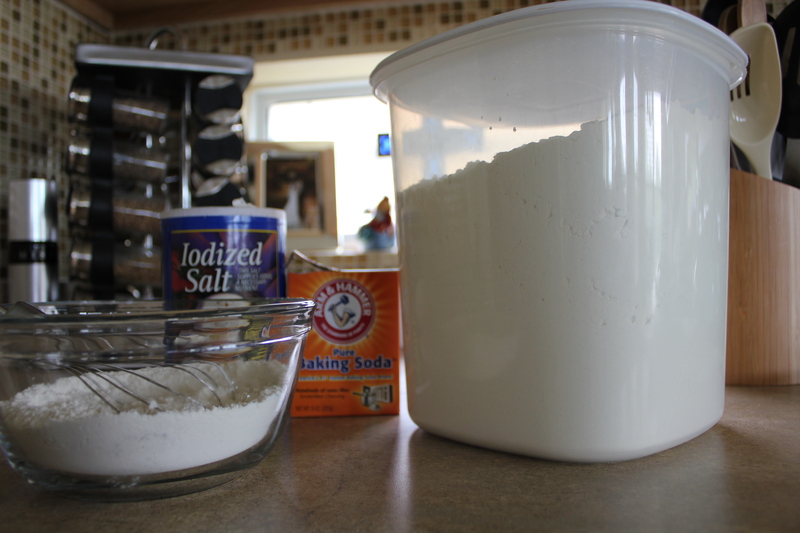 Add one tbsp of ice water and mix into the dough to get it wet. Roll into a big ball and place in the fridge to get cold. For the filling, I wash, peel, and slice my apples with my Zyliss Easy Slice Mandolin, White (I got it at Ross for real cheap but any kind of food mandolin will work) using the thinnest setting possible. I like to have the apples look like thin potato chips. If you prefer chunks, go for it but I’ve never done it this way. (Too much work!) As I slice the apples, I drizzle lemon juice on top of them so they don’t turn brown quite as quickly. You usually want to have about 6 cups of apples when they are all sliced up. 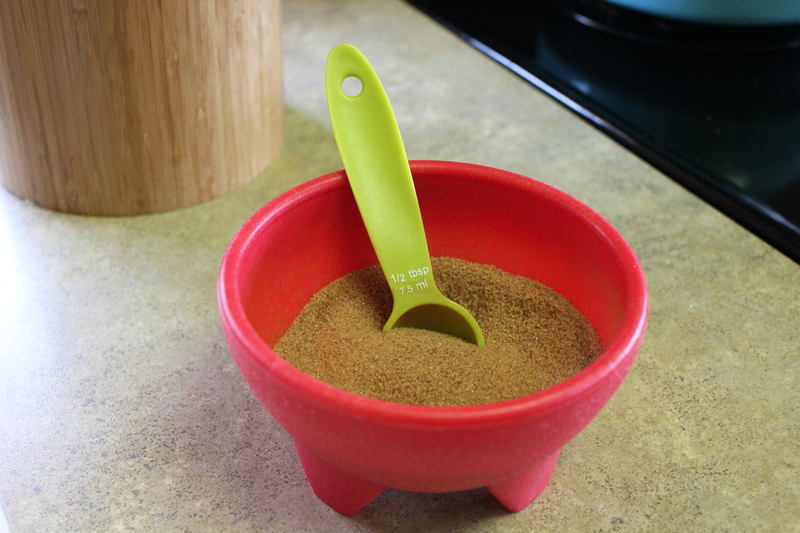 I have invested in a LARGE measuring cup/bowl that I place the apples in and then add the 2 sugars. I mix the apples and sugar with my hands and add the flour & cinnamon and mix until it’s all combined and smells SOO YUMMY! Once you have that done, time for the hard part…. Get the dough from the fridge and divide it into 2 balls. I like to have them be about the same size, but make one a little bigger to be for your top crust. I like to put my dough on a well floured silicon mat on the counter so it’ll be easier to transfer into the pie plate. You will use a well floured rolling pin and roll the dough into a cirle to fit your pie plate (I believe I use a 9 inch plate). This task is very challenging because it’s virtually impossible to roll dough into a perfect cirle, but do not worry, it will be ok. Do your best!! Once you have it rolled as thin as you can go and it’s still in one piece, transfer the dough to the plate (this may be a 2 person process if this is your first time). If you don’t have a silicon mat to just flip over onto the plate, you can try the “roll the dough around the rolling pin and tranfer is to the pie plate” method, but I find this to be very stressful. Be sure to have total coverage for the bottom layer. If one of your edges is lop sided, tear some excess dough from one side of the plate and fill in the empty space. Next, dump your filling into the pie pan. Make sure it is laying flat and not overflowing in the pan because we still need to cover it! Then you will roll the 2nd dough ball into about a 12 inch circle and you will place this on top of the filling. 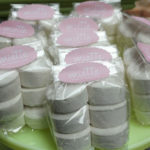 Make sure you trim off the edges or I like to roll mine up and use a fork to make pretty indentions around the edges. (I don’t like to waste the yummy dough) You will then take a knife and cut 4 slits into the top and you will brush the top with a little bit of heavy whipping cream. 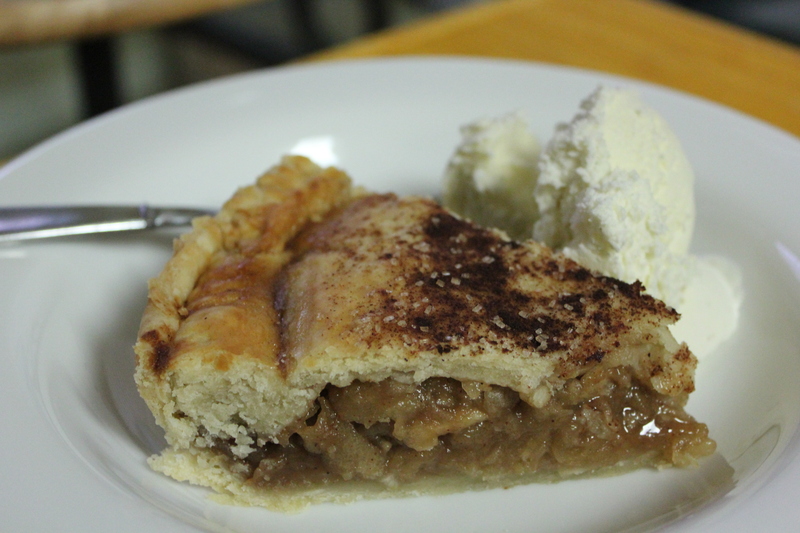 I then use cinnamon and sugar (the sugar in the raw is my favorite for the top) and sprinkle it on top of the pie. 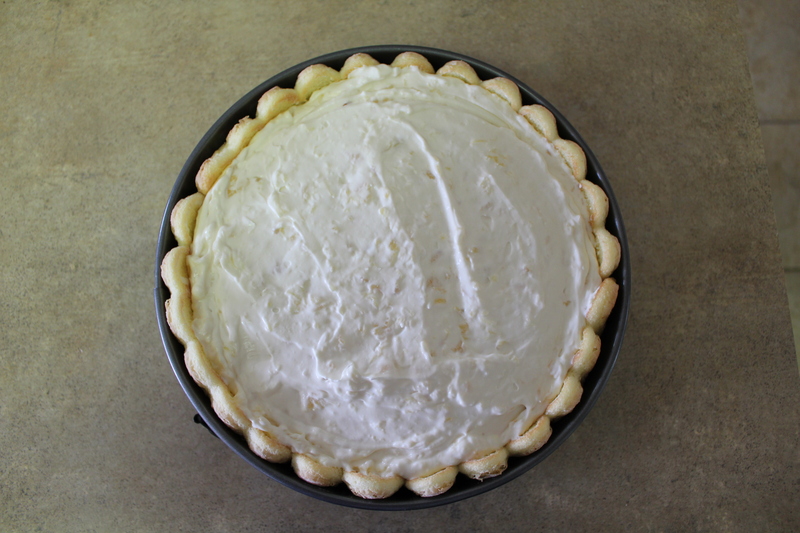 Cover the pie with aluminum foil and place the pie on a cookie sheet that has edges. (The filling may overflow and spill and its easier to clean the sheet than it is your oven!) 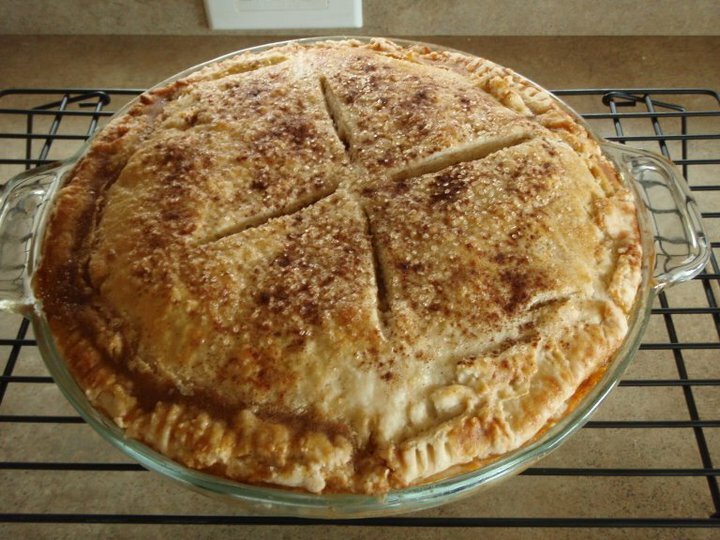 Bake the pie for 25 minutes. Remove the foil and then bake for another 35 minutes or until you see it golden brown to your liking. 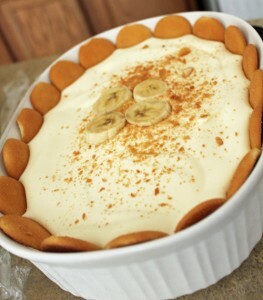 You can serve it warm with ice cream (vanilla pecan is my favorite or cinnamon ice cream is delicious too!). Enjoy! 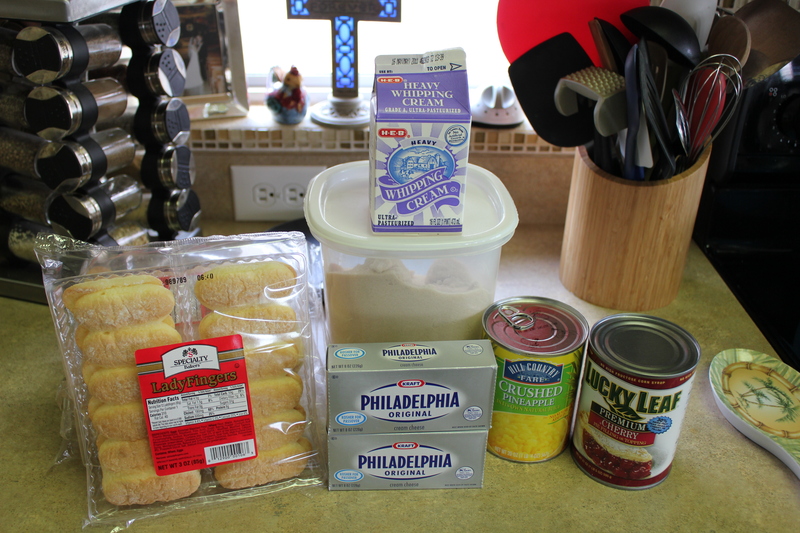 First, you’ll beat the cream cheese with the sugar until it’s blended. Add the heavy cream and beat until smooth. Add the drained crushed pineapple and fold it in gently until it’s well combined. Set aside. Next, take a large spring foam pan and line it with lady fingers. 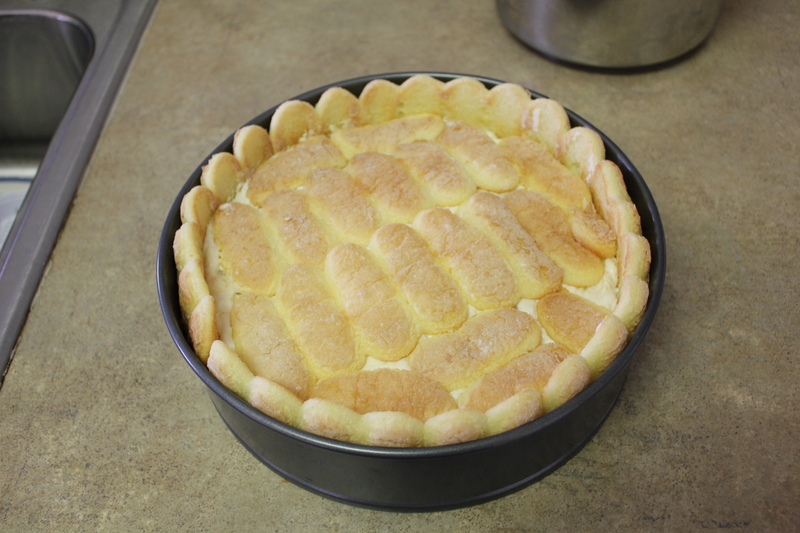 Pour a layer of the cream cheese mixture on top, and then top it with a layer of lady fingers. 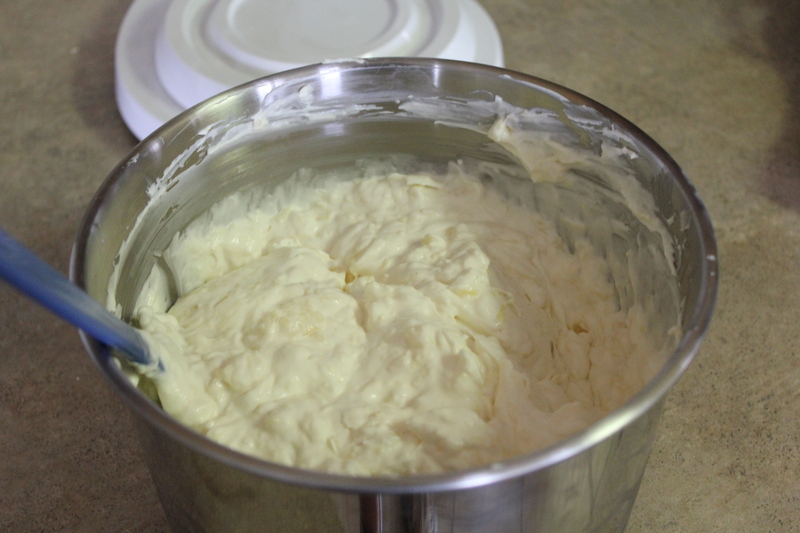 Continue to do this until all the cream cheese is used and you have the cream cheese on top. Cover and refrigerate this overnight to set. 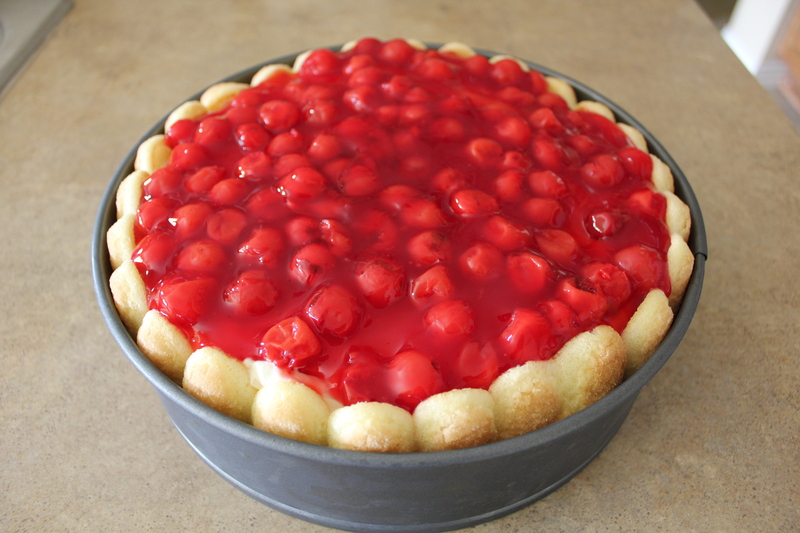 When ready to serve, put the cherries or strawberries on top. 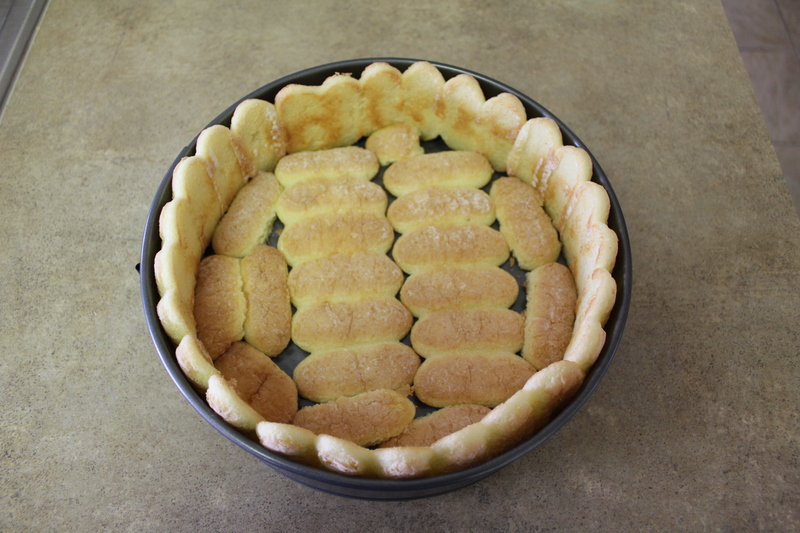 Then remove the side of the spring form pan and serve! When I got married, I was lucky to receive a homemade cookbook filled with recipes from all of the lovely ladies that came to my bridal shower. In that cookbook, I have found some of the best recipes ever! Since this is Easter weekend, and I’m in charge of Easter Brunch at my house right after church, I decided to make this yummy cinnamon bread that the recipe was given to me from my mother in law, Cindy (hence the name!) I hope you enjoy! Now you are ready to pour half of the batter into a 9 X 5 loaf pan and then top with the cinnamon sugar topping. 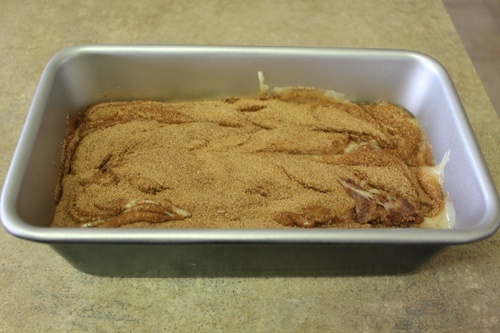 Repeat process until you end up with a nice topping of cinnamon sugar on the very top. 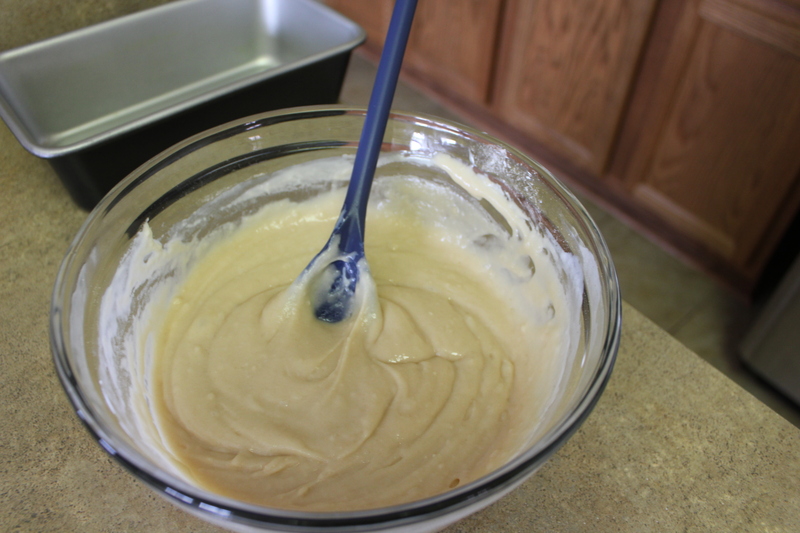 Then, take a knife and swirl it around in the batter. Bake in a 350 degree preheated oven for 1 hour. Next you will need 1/4 cup softened Crisco shortening baking stick (if you want to use butter you can) and 1/2 cup brown sugar. Mix this on medium speed until combined. 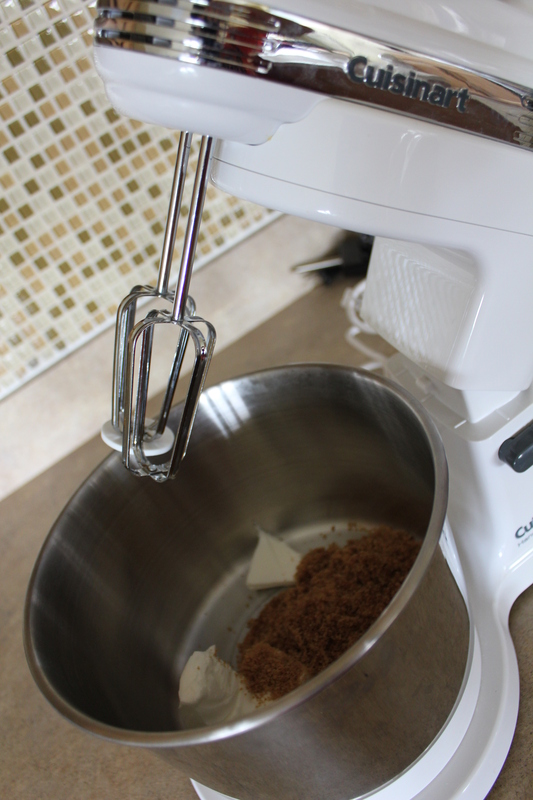 I recommend using a spatula to scrape off the edges of the mixer to incorporate all the ingredients together. 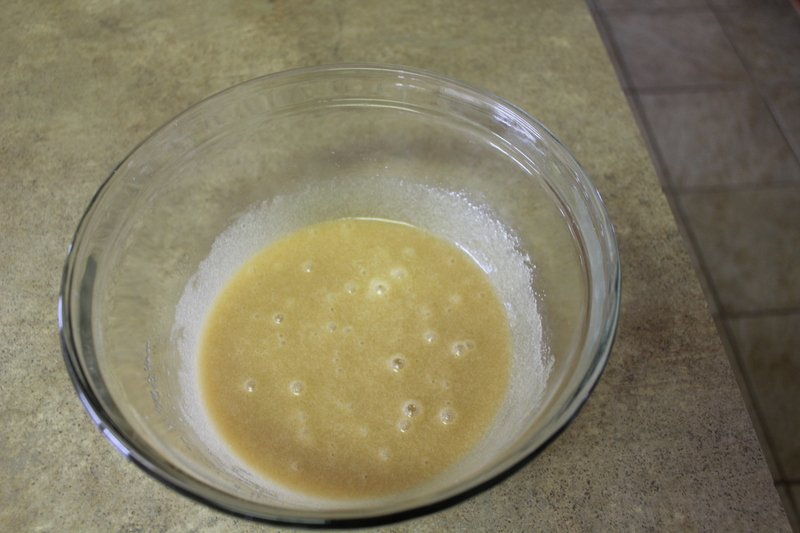 Then you will add 1/2 cup granulated sugar and beat that in well. 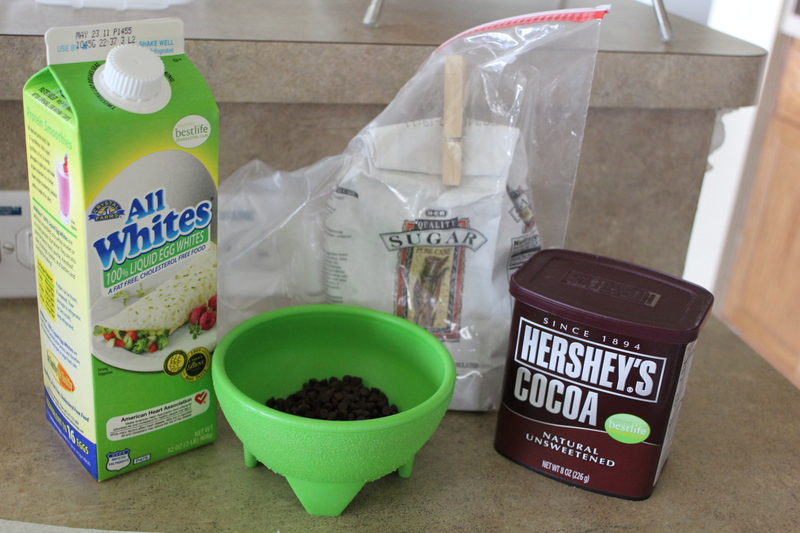 Continue to add one at a time 1/3 cup unsweetend baking cocoa and 2 large egg whites until its smooth and the consistency of brownie mix. 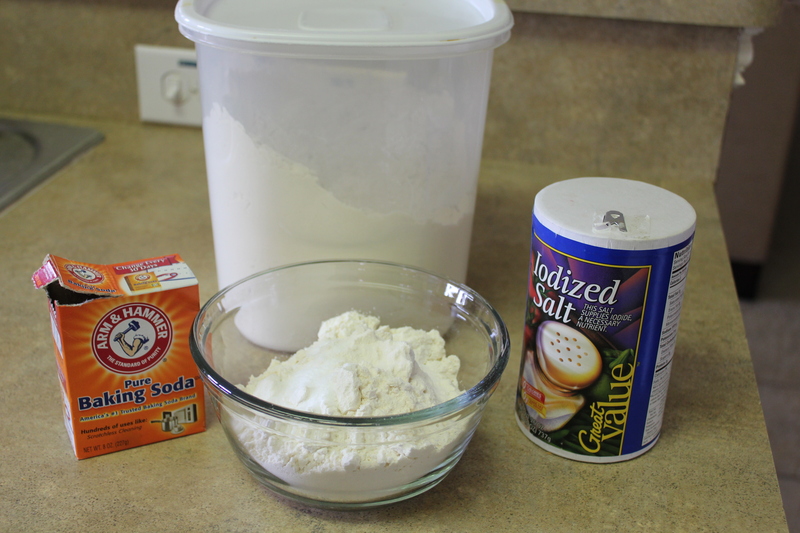 Once you have achieved that consistency, gradually add the flour mixture until it is all combined. 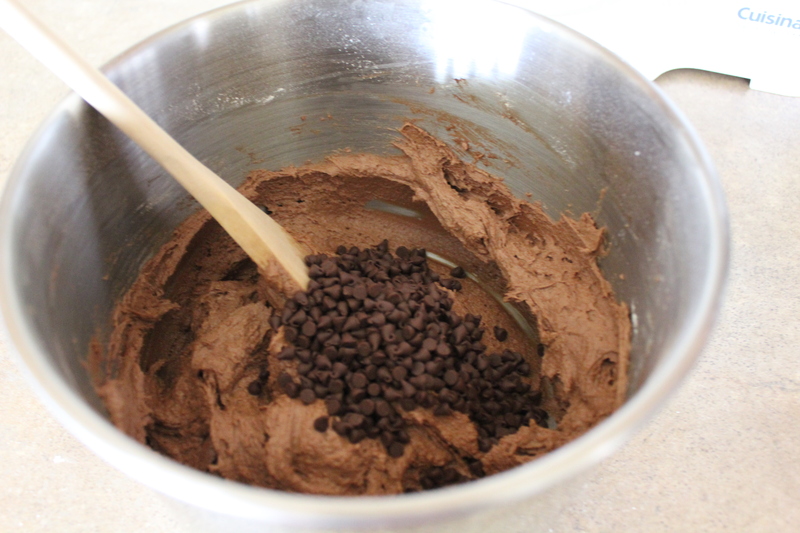 At this point, turn off your mixer and get a wooden spoon to mix in 1/3 cup mini chocolate chips. Use a teaspoon to measure the dough to place on a cookie sheet covered with either a silicon baking mat or parchment paper. 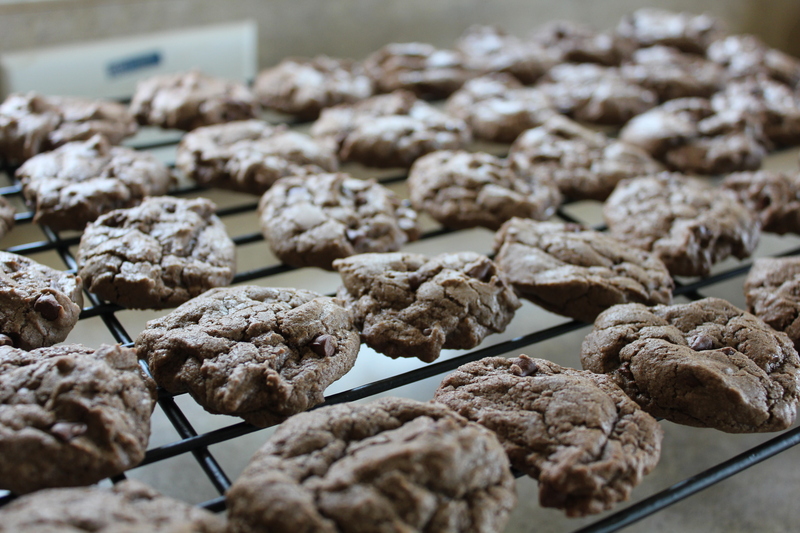 You should make about 40 cookies from the dough. 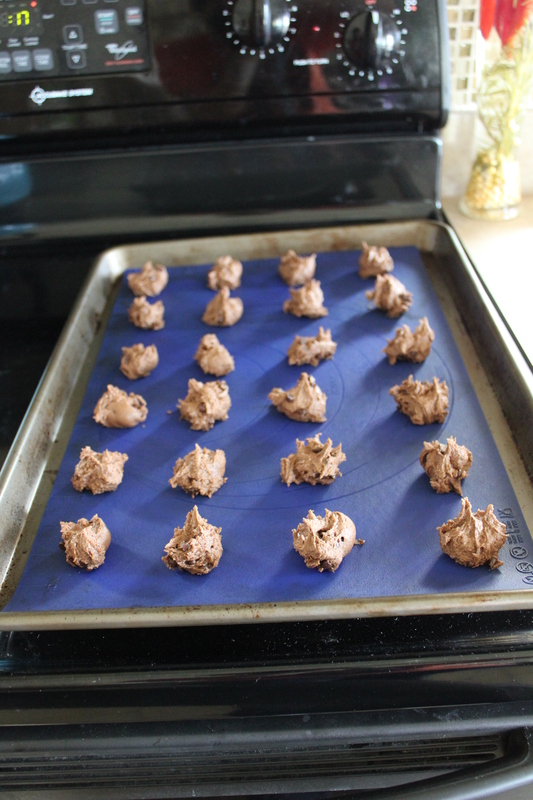 Bake each batch of cookies for 10 minutes at 350 degrees. Once they are done, let them rest on the pan for about 2 minutes then move them to a wire rack to cool. Now we are ready to make the sandwiches. 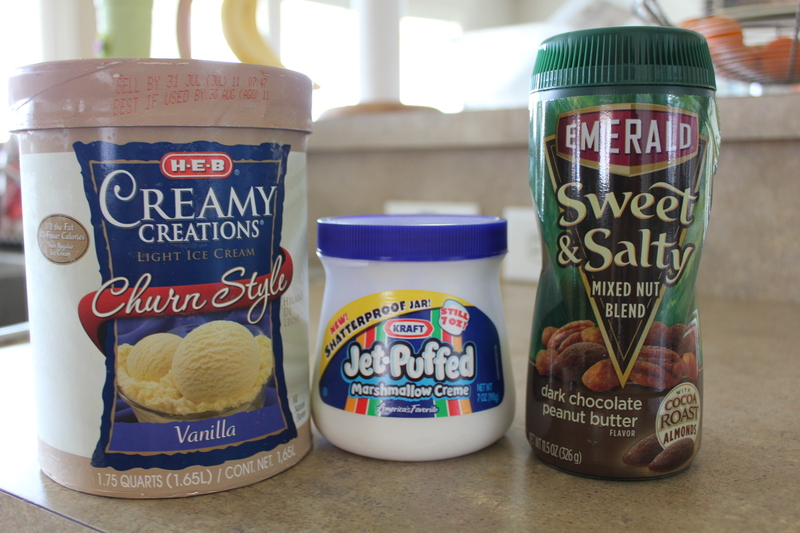 Gather your ingredients that you’d like to use, in my case I used marshmallow fluff, low fat vanilla ice cream and flavored nuts. 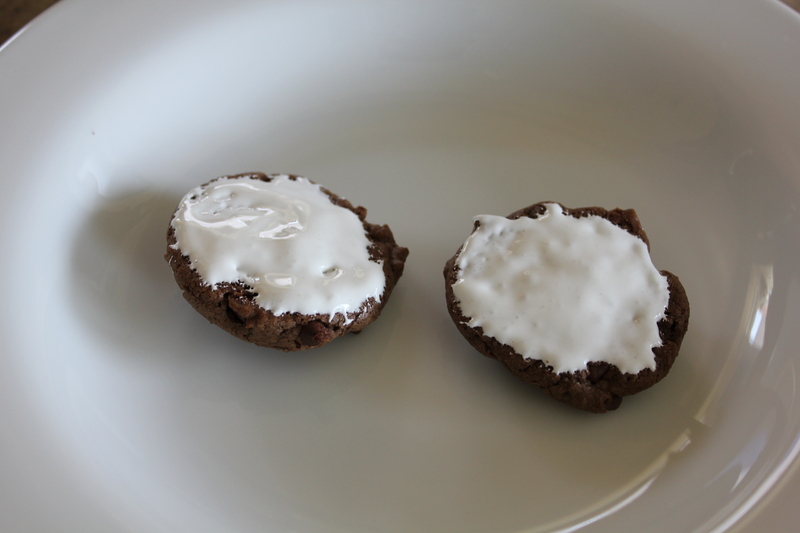 I then spread the marshmallow fluff on the bottom of 2 cookies. 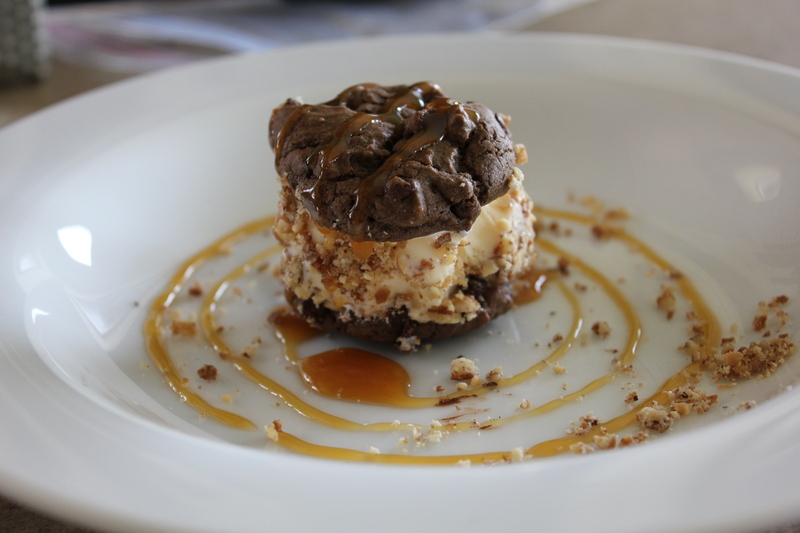 I then used a tablespoon to measure the ice cream and placed that in the middle of the 2 cookies. Then I crushed the nuts and rolled the sandwich in this. To top it off, I drizzled caramel sauce on top. The end result is soooo yummy and the best part is you don’t have to feel guilty for eating it! Enjoy! and I simply left some things out (like lavendar leaves, where would one find such things? I’m not sure…). 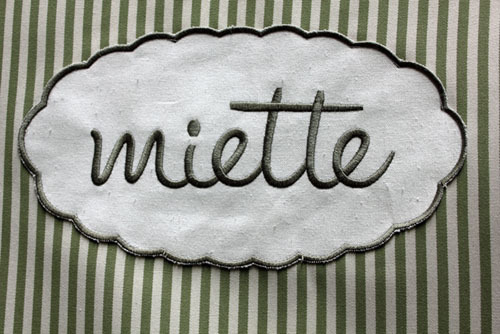 I’ve had rave reviews so far, so you tell me what you think! Preheat oven to 300 degrees. Over medium heat on the stove, bring cream to a gentle simmer stirring often with a wooden spoon. In a medium bowl or mixer, whisk egg yolks and vanilla extract with the sugar until frothy. 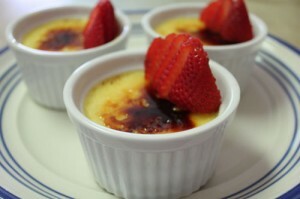 Temper the yolks by adding 1/4 cup of the heated cream to the bowl that contains the yolks and sugar. Make sure you constantly are whisking during this process to make sure it doesn’t curdle on you. 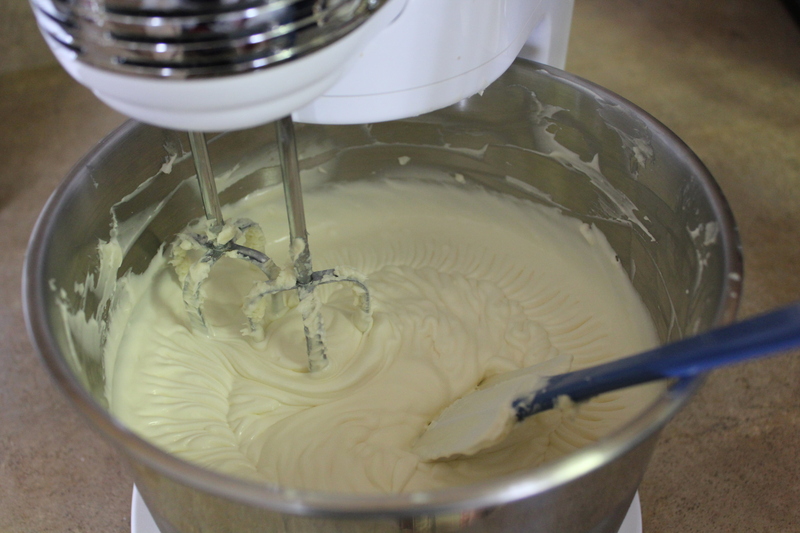 Repeat this process but use a 1/4 cup of the mixture in the bowl and whisk that into the cream in the pan. I usually do this one more time before I pour the remaining mixture into the pan on the stove and I lower the heat to low (because you don’t want this to boil on you) and stir constantly until the custard is thick and coats the spoon, usually this takes 15 minutes. 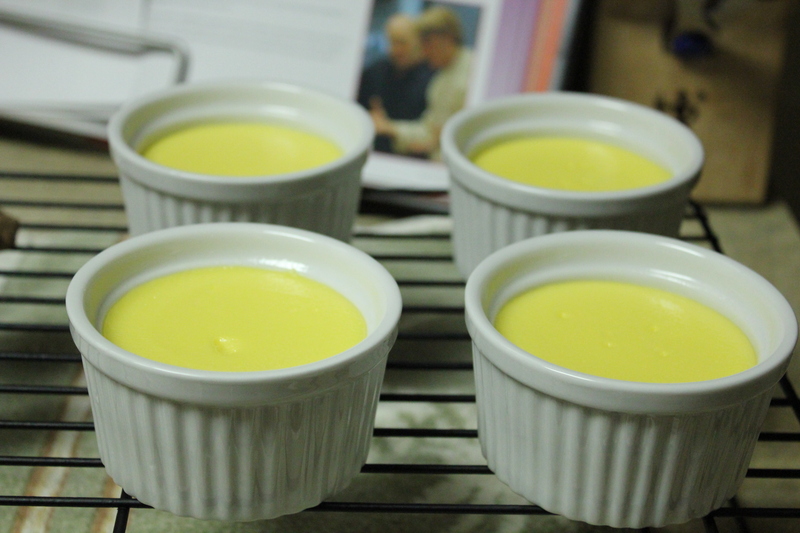 Pour the custard into four 1/2 cup ramekins and place the ramekins in a large baking pan. I love to use my pyrex for this so I can see what’s going on while it’s in the oven. You will then fill the pan with 1 inch of hot water and then cover the whole dish with aluminum foil. Bake it for about 4o minutes or until it is set and not liquidy in the middle. You want to have a little jiggle to it. Transfer the ramekens out of the pan, and place on a wire rack to cool completely. After it’s nice and carmelized, I put cut up fresh strawberries on top and serve. It’s soo yummy! 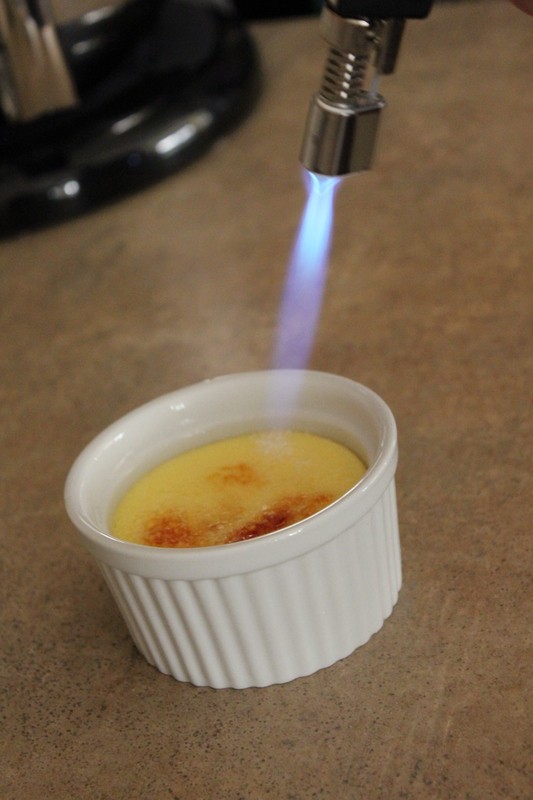 You can find a creme brulee set with a torch and ramekins usually at the grocery store, but usually these sets don’t come with the butane you need to get the torch working, so we ended up finding our butane on amazon.com. 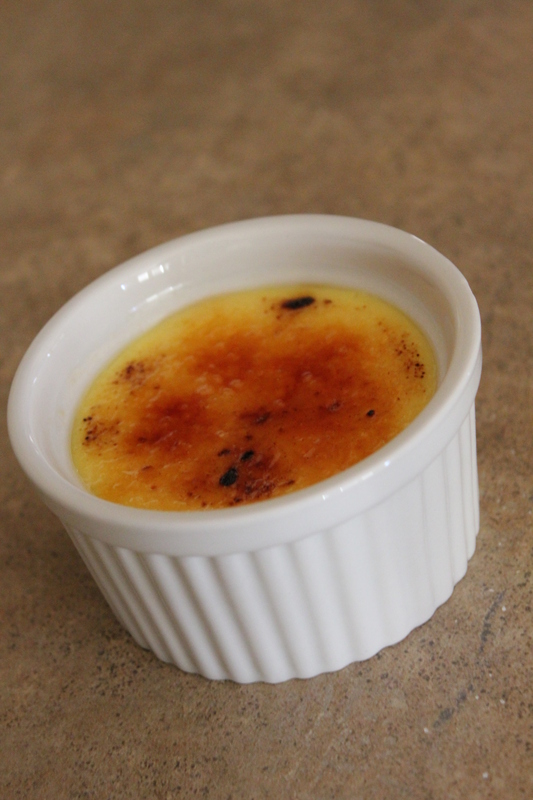 If you already have the ramekins and just need a torch, we got ours from Crate and Barrel.